How do you get an entry-level job in book publishing? 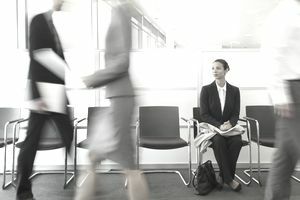 Of course, there is much-published guidance on how to write a resume or how to prep for an entry-level job interview. But the book publishing industry has its own set of parameters for the wannabe employee. Here is some specific advice on how to prepare for a book publishing job interview. Atria or Riverhead Books? Within the major publisher, each imprint has its own personality. Go online and take a look at the types of books they are publishing. It’s ideal if you truly love your interviewee’s list. But at the very least find something appealing about the books you’d theoretically be working with and be prepared to discuss why. Book publishing, like many media industries, thrives on passion for its product—the passion of the people who publish the books, as well as the passion of the people who create them. Book publishing people generally appreciate a passion for books and reading in their employees. Also, note that each imprint within each publishing house tends to have a distinct personality. If you are a book lover, pay attention to the colophon on the spine of your favorites books. Where are they from? Maybe you should interview there. ...especially books from the publisher and imprint with whom you’re interviewing. “New York Times Best-Seller" is industry shorthand for the top-selling books, and everyone pays attention. You should, too. Of course, you’re reading a book at the moment. Be able to speak intelligently about the book you’re reading now, the last book you read, your favorite book of the last six months, and your favorite classics. If you’re not reading a book or haven’t read one in the past couple of months, you should think about seeking out another line of work. When talking to young people who want to work in book publishing, it seems that the vast majority of young English-major book lovers aspire to work in the ranks of the book editorial department. Those folks should read about how a book goes from a manuscript through the editorial process to get insight into what the editing portion of the job entails. If you like dealing with people—constantly—a job in book publicity might be good for you. Are you detail-oriented and like everyone to be on time? While these traits will serve you well anywhere, the managing editor’s office depends on helping keep everyone to the book production schedule and moving around lots of details when authors or editors are not on schedule (which happens often). In addition to book jackets, the creative department is a place where you can utilize your skills in point-of-sale, ads, and other book promotional elements. Today’s book production department requires knowledge of ebook as well as print technologies, file preparation, and the like. Also, the definition of "book publishing" has grown in the past few years, and isn't limited to traditional publishers and print books. There's more of a need for tech-centric people in publishing than ever before. Do you like being out from behind the desk? Book publisher’s sales reps call on accounts as varied as Barnes & Noble and Amazon.com to independent booksellers and generally get to go to their book publisher’s sales conferences and trade shows like the regional association trade shows or even BookExpo America. Of course, book publishers all have “the usual” corporate departments, like human resources. And if you’re a number-crunching or tech-geeky book lover, there’s finance, accounting, and information technologies (IT), too. Read this overview of departments in a publishing house.